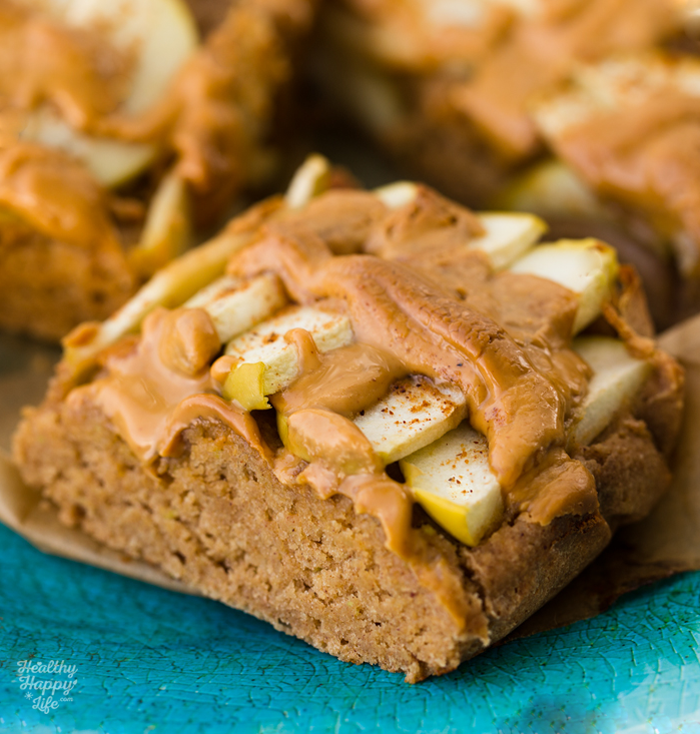 Green Apple Spice, Peanut Butter Oatmeal Bars. Date-Sweetened! "Wait, what is this? What in the world did I just make? Is this going to be edible." These bars are great! So versatile. 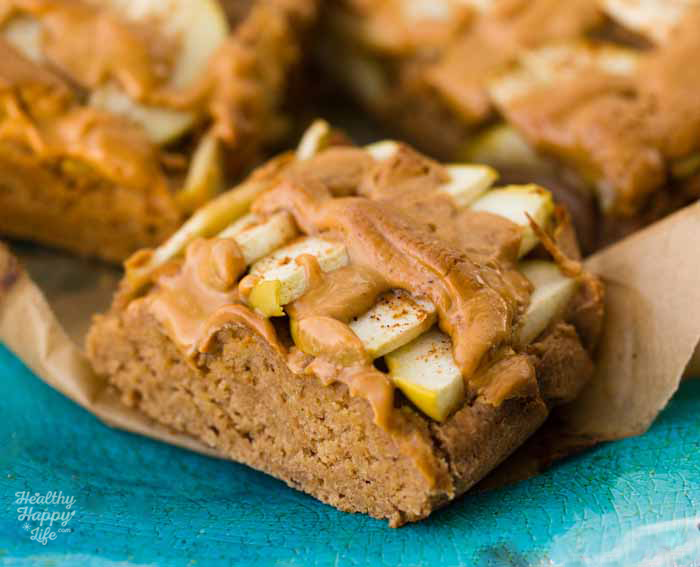 They are really mildly sweet, yet the baked apple flavor and sweetness is bold in each bite. You could easily serve these as a grab-n-go breakfast (serve warm or chilled!) or as a mid-morning or late afternoon snack. 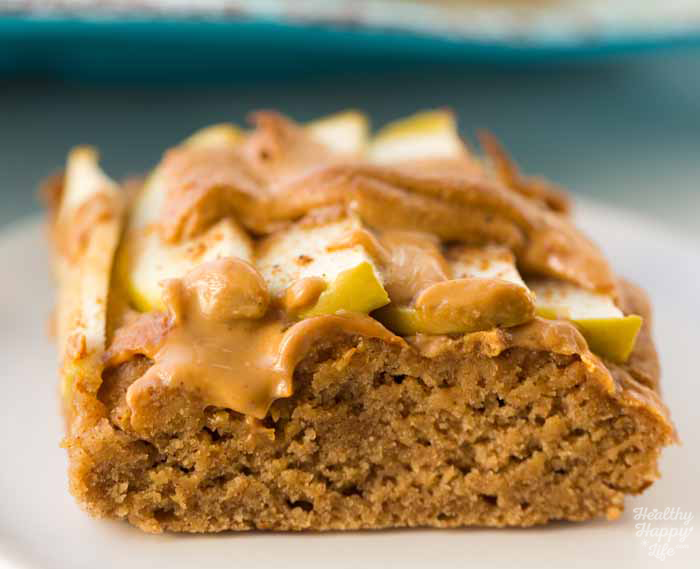 I love the melty nut butter on top and the fluffy sponge-cake texture. Perfect paired with a spicy chai or herbal tea. Or a matcha latte. 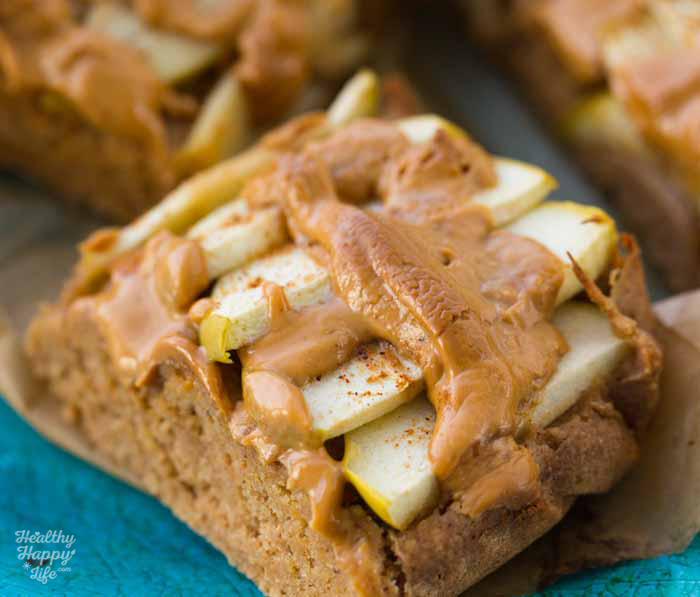 Oatmeal bars are a fave of mine! 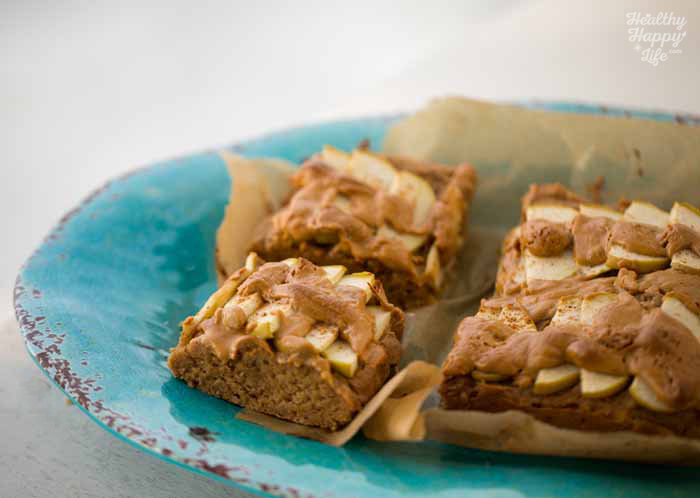 Check out my coconut oatmeal bars in my cookbook - love those! Why experiment in the kitchen? Here are my three reasons to go "off recipe"..
1. You learn fast! Experimenting teaches you lessons you would never think to even look for in cookbooks. You learn from not only the ingredients and the methods, but from yourself! I always say I learned how to cook from my mother and from my kitchen. Me, long hours, in my kitchen, taking risks and creating recipes with no recipe in hand. 2. You Have Fun. Going "off recipe" is in a somewhat silly way, exciting! Anything can happen in this "winging it" kitchen. You may create something new and never-before-tasted! Or you might create something you will discover you do not want to taste again. No risk, no reward! 3. Tweak recipes! My fave part about going "off recipe" is that you do not have to risk your entire meal and ingredients. Go with a tried and true recipe and tweak it! You are still being creative, while still sticking to proven recipe techniques and basics. I actually did this here! 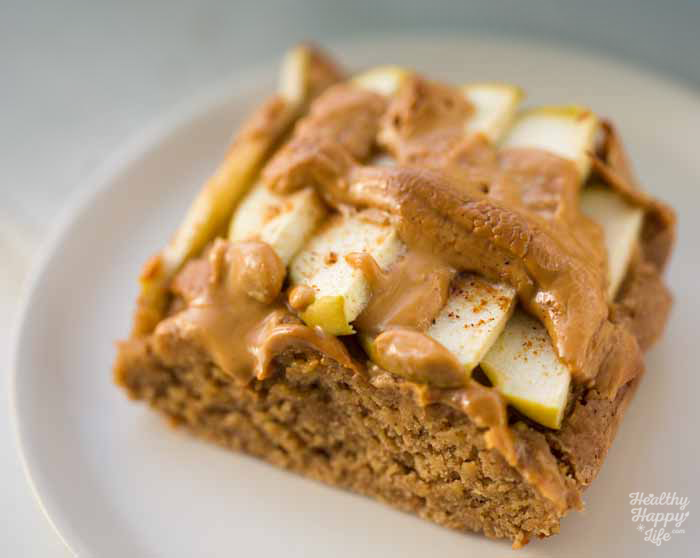 I knew how to make a basic oatmeal cake bar and tweaked ingredients like the sweetener and toppings. 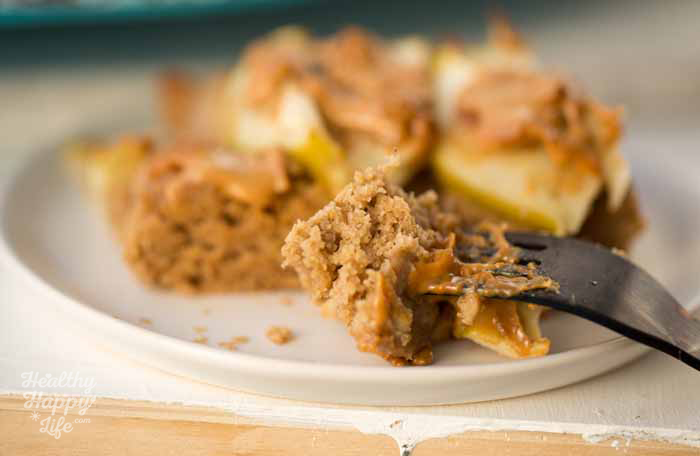 ..so that means if you recently bought my book Healthy Happy Vegan Kitchen, you can take one recipe and PLAY with it. experiment with new "toss in or fold in or topping" ingredients, spice accents and more. I always want to encourage you guys to step outside the recipe because I truly believe that cookbooks and blogs can be like training wheels on a bike. You need to try to pedal on without those wheels for a bit to truly realize your own magical potential! My new book has TONS of techniques and how-to pages speckled throughout the pages - these basic methods are perfect for helping you spread your culinary unicorn wings. 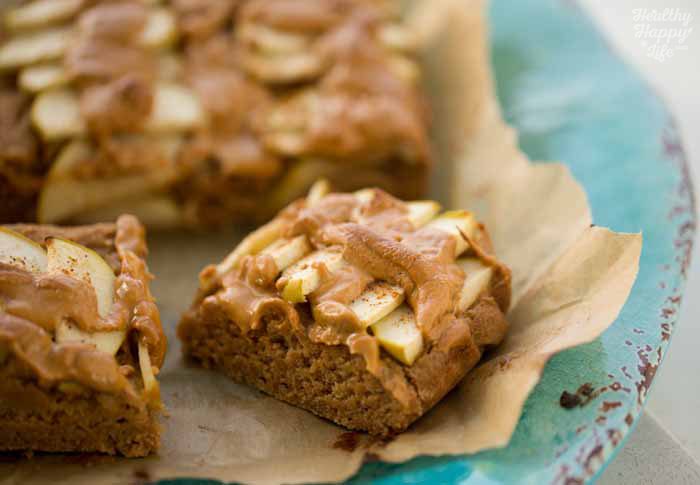 These fluffy, moist oatmeal bars are date-sweetened, gluten-free and rich in green apple and nut butter flavor. Vanilla and spice accents. Preheat oven to 375 degrees. Add parchment paper to a small square or rectangle glass baking pan. I used a small 8 x 6 inch dish. In a blender, blend the wet ingredients until smooth. Tip: If your dates are very dry, soak them in the water for ten minutes or longer to soften them. Pour the wet into the dry bowl and stir until a thick, texture batter forms. Pour the batter into the lined or greased baking dish. 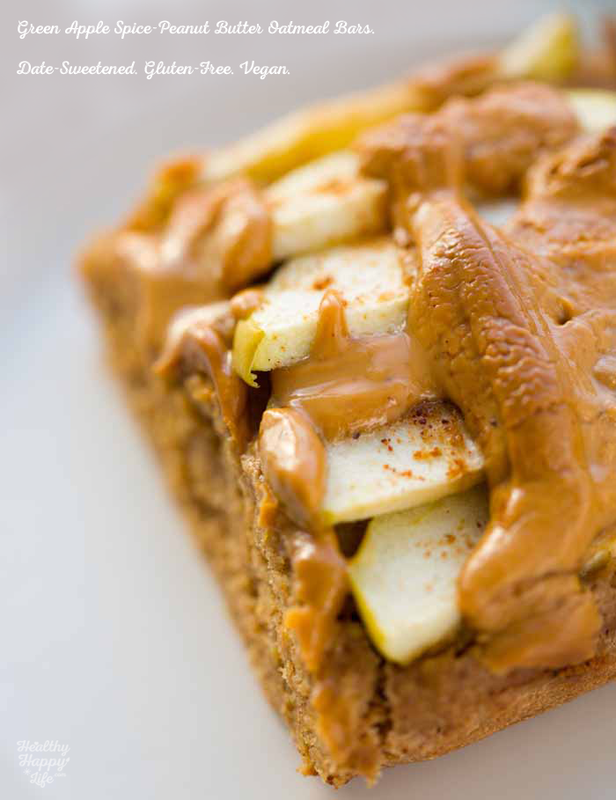 Add the thinly sliced apples on top, and drizzle the nut butter over top as well. Add a sprinkle of spice. Bake at 375 for 22-25 minutes or until the edges begin to brown and the bars puff up nicely and cook through. Cool for ten minutes before slicing and serving warm. Store leftovers in the fridge and re-heat to serve. (Also delicious chilled though!) For longer storage, store in the freezer and re-heat to serve. 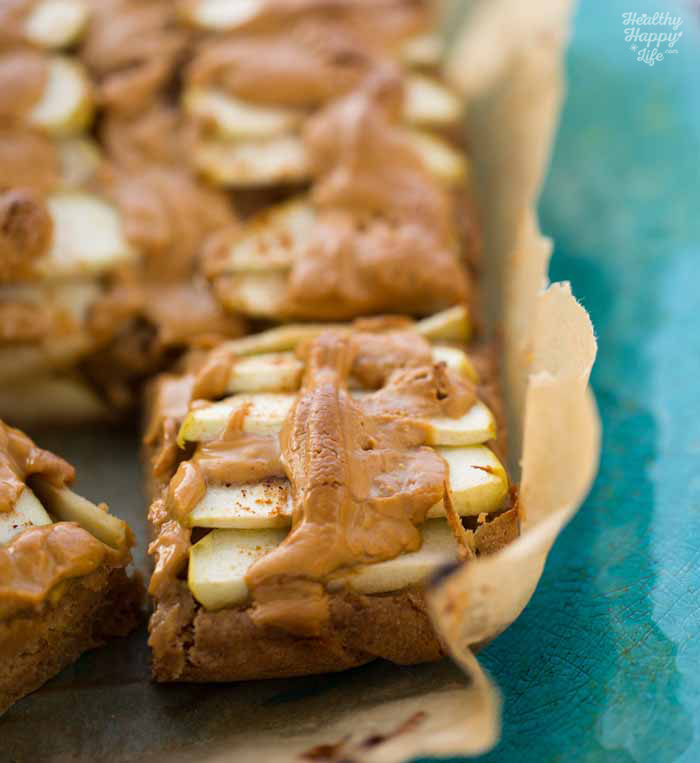 Love peanut butter + apples? Me too. 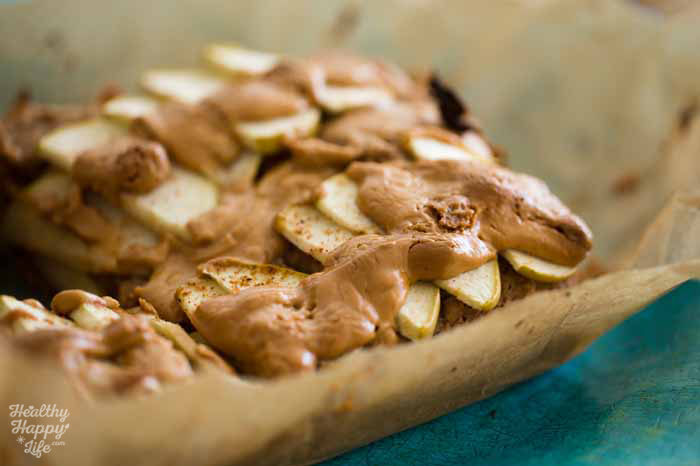 Also try my Peanut Apple Celery Crunch Salad.